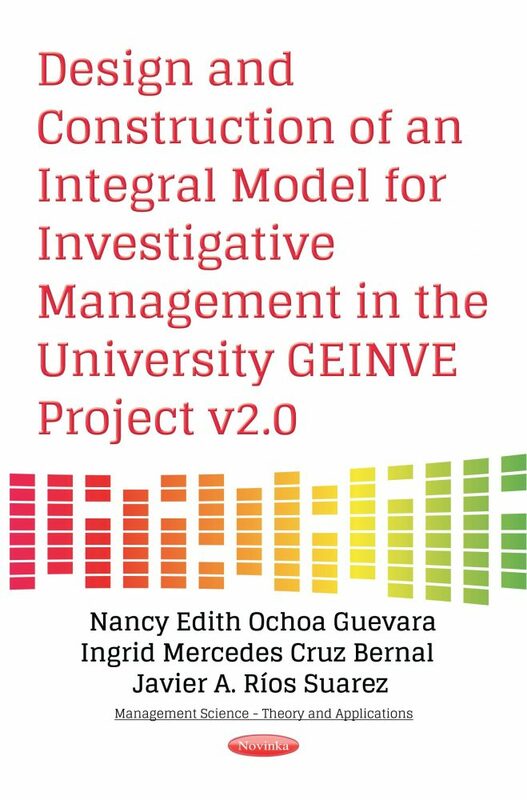 This book presents the organizational maturity of research management at a university in the city of Bogotá, Colombia, through some of the components of the CP3Mv5, CMMI and PMBOKv5 models of the Project Management Institute (PMI). With the participation of management, administrators (managers of processes), teachers and students of the university utilize the maturity box organized via the evaluation instruments (questionnaires) applied to these estates with their respective knowledge base across the DOFA matrix. In addition, some of the university’s own practices were created to support the good practices already presented in the PMBOK guide. Américo, P., Marcelo F, C., & Ginger, L. (2010). The PMO Maturity Cube, a Project Management Office Maturity Model. PMI Research. Crawford, K. (2007). Project Management Maturity Model Second Edition. In K. Crawford, Project Management Maturity Model (págs. 200-201). New York: Auerbach Publications. ENAA (2005). P2M: A guidebook for project and program management for enterprise innovation. Tokyo: Project Management Association of Japan. OGC. (2010). P3M3® Project Management Self-Assessment. United Kingdom: OGC. Sherer, W. & Thrasher, S. (2005). CMMI to PMBOK. Retrieved on April 20, 2009, from https://bscw.sei.cmu.edu/pub/bscw. cgi/0/395814. Snowden, R. (2010). Modelo P3M3. Consulted on 01/02/2014 from http://www.p3m3-officialsite.com/P3M3Model/P3M3Model. aspx. Solarte, L., & Sánchez, L. F. (2013). Gerencia de proyectos y estrategia organizacional: el modelo de madurez en Gestión de Proyectos CP3M© V5.0. Revista Innovar Journal Revista de Ciencias Administrativas y Sociales, 24(52):5 http://www.revistas. unal.edu.co/index.php/innovar/article/view/42502/44047. [Project Management and Organizational Strategy: The Maturity Model in Project Management CP3M © V5.0. Revista Innovar Journal Revista de Ciencias Administrativas y Sociales, 24 (52): 5 http://www.revistas.unal.edu.co/index.php/innovar/article/view/42502/44047]Turner, R. (2004). Five necessary conditions for project success (editorial). International Journal of Project Management, 22, 349–350. Winter, M., Smith, C., Morris, P. y Cicmil, S. (2006). Directions for future research in project management: The main findings of a UK government-funded research network. International Journal of Project Management, (24), 638-649..
·	This book is aimed at managers, process managers and researchers at the university.